Our tree farm is now CLOSED for the 2018 Christmas Tree Cutting season. Please send us a message. We’d love to hear from you! COMING FOR A VISIT TO COUNTRY PINES? Just give us a call to ensure we are on location, or send us an email to set up a meet time. We are always available, and guided "walk and talk" tours are fun and enjoyable for the whole family. Country Pines Tree Farm is a family run farm and we look forward to meeting you!  COUNTRY PINES TREE FARM IS LOCATED JUST 20 MINUTES FROM THE PERIMETER! During the week, we are available by appointment only.